The latest official data shows that in 2018, China's GDP grew by 6.6 percent to hit 90 trillion yuan ($13.32 trillion) for the first time. Consumption expenditure accounted for 76.2 percent of GDP growth, up by 18.6 percentage points compared with the previous year. As consumption is playing an increasingly important role in China's economic development, a rise in consumption demand will require an increase in household income. Last year, the country's per capita disposable income stood at 28,228 yuan, up 6.5 percent year-on-year in real terms, faster than the growth rate of per capita GDP. Meanwhile, per capita consumer spending grew by 6.2 percent year-on-year in real terms to 19,853 yuan, 0.8 percentage points faster than the previous year. Given the promising consumer market, the government has been attaching great importance to the middle-income bracket. According to Ning Jizhe, head of the National Bureau of Statistics, if people from households earning between 100,000 yuan and 500,000 yuan a year are defined as the middle-income population, then China has more than 400 million middle-income earners, or 140 million households, which is the largest middle-income group in the world. These households can afford cars, housing, tourism and other entertainment. Further, their consumption offers strong support for China's sustainable and steady economic growth. It is an undeniable fact that China's middle-income population is growing fast with the rapid economic development, and its consumption potential has become the support for future economic growth. The 400 million middle-income people are indeed a huge group, but from the perspective of their expenditure, the consumption quality of China's middle-income group is not very high, especially compared to the traditional perception of the middle-class consumption. Such a perception difference should not be overlooked when it comes to building China's consumer market. Specifically speaking, despite a modest gap between the middle-income earners in large Chinese cities and in the West, in terms of income, there is still a very big gap between them, in terms of consumption quality. In China, housing assets usually account for a relatively high proportion of household assets, with few liquid assets. Statistics showed that in 2017, the proportion of housing properties in urban household assets was up to 77.7 percent, with financial assets only accounting for 11.8 percent. Changes in housing prices and interest rates may therefore lead to huge changes in household wealth and spending, thus affecting household consumption and lifestyle. By comparison, in the US, properties only accounted for 34.6 percent of household assets, while financial assets accounted for 42.7 percent. The different household asset structures inevitably pointed to the difference in the consumption models. Therefore, with a relatively high proportion of properties in household wealth, it is still too early to expect Chinese middle-income earners to consume like the US middle-class. In addition to the pressure from property expenditure, China's middle-class group is also facing other heavy expenditure burdens like education, medical care and elderly care, thus many of them are actually quite "poor." They are in fact asset rich but cash poor. In first-tier cities like Beijing, there are a large number of the so-called poor middle-class, who control their daily consumption at a low level. A young family of three may be satisfied with an annual income of 100,000 yuan, seeing a future full of opportunities. However, a middle-aged family of three may be dissatisfied with annual income of 500,000, with cost pressure from children's education, support for the elderly, career bottlenecks and a rising cost of medical care. With uncertainties for the future, the middle-class therefore have to save as much as possible, thus causing the decline of daily consumption quality. In addition, some observers believe that the increased labor costs have offset a large portion of the growth in the nominal amount of urban consumption. In this sense, the increases in the middle-income population and in their consumption may, more likely, be numeric changes on paper, instead of an upgrade in their actual consumption quality, especially with no improvement in the quality of the services consumption. In short, building and expanding China's consumer market will not only need to increase the number of middle-income people and improve their income levels, but will also need to carry out social reforms to reduce the burden on residents in terms of every aspects of life, including medical care, education, housing and elderly care. 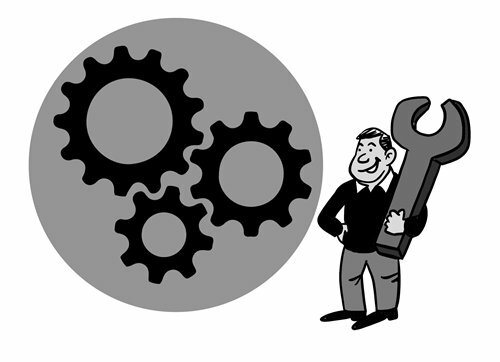 Only by actually improving the quality of life for the middle-income group can China overcome the "middle-income trap" to promote the formation of a long-term and stable consumer market.